Csuri's father, Stephen Csuri, worked as a coal miner in West Virginia and as a shoemaker in Cleveland, Ohio. The scene of his father working as a cobbler would have been familiar to the young Csuri, who worked in his father's shop on weekends from the age of ten. A man respected by his son, Stephen Csuri is the subject of several works, including a procedural drawing entitled The Shoemaker (1963-1964). 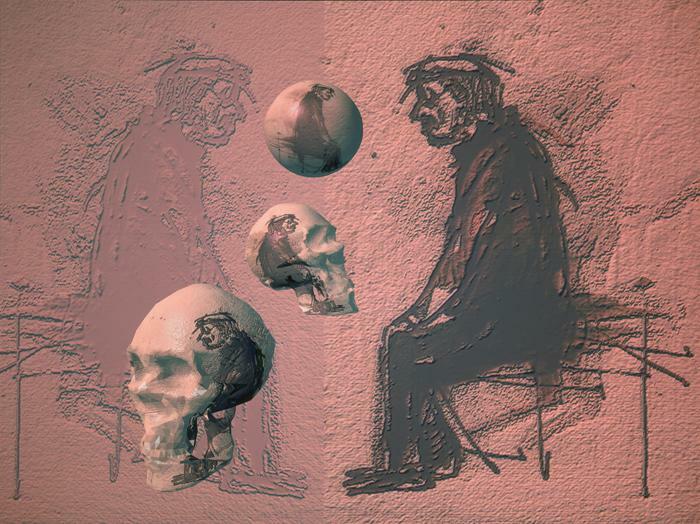 In Death of My Father, Csuri sketches his father in profile and uses texture and bump mapping to translate the figure into several similar, yet distinct, instances.